Our beautiful range of Signature Shuffleboards includes some of the most incredible and eye-catching shuffleboards available, all exclusive to Home Leisure Direct. Our Signature Shuffleboards range has been created in response to input from our customers on what they really want from a shuffleboard. Through our experience of selling games room products over many years, we’ve had a lot of questions and feedback from customers on the features they’re looking for. Having taken this feedback on board, we’ve created the Signature range of tables to cater to all needs and desires, and created a range of pool tables, shuffleboards and more that are simply the best on the market. Our Signature Shuffleboards have been created to the highest possible standards, giving you a choice of absolutely beautiful tables that are not available anywhere else. We have chosen tables that we think are simply unbeatable in quality and that have unique styles. 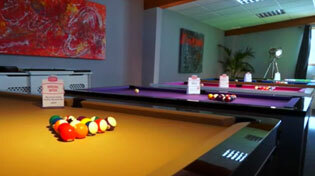 Visit our Showroom to look at our superb collection of shuffleboards, including the Signature range. A visit to our showroom will allow you to try different tables in person, and get some first hand advice on the right one for you. Our friendly staff are always on-hand to point you in the right direction for your perfect shuffleboard. For more information on these tables, please click one of the links below to go straight to the relevant product information. All of our Signature Shuffleboards come complete with free delivery and installation, plus free accessories. When your new shuffleboard arrives, you'll have everything you need to get started with a fantastic game. We understand that with busy schedules, family life and work commitments, not everyone can visit our showrooms, so we will make sure you have all the information you need. If you are concerned about your space, the size of the table or whether or not a table will fit in your space, then you can either download any of our “Will It Fit?” guides or call the team who will happily help you over the phone. We will never tell you an item will fit just to get a sale. You can trust us to offer you honest advice, all of the time, so that there are no unwanted surprises on delivery day. We believe visiting us will be the most fun showroom visit you will ever have. Whether it be a shuffleboard table or one of our other fantastic games room products, we look forward to welcoming you soon with a freshly brewed cup of coffee and a truly enjoyable experience. Take our Showroom Tour to see what awaits you. Buying a shuffleboard table is a real investment so let us make that easier for you. We offer Interest Free Credit (0% APR) on our entire range with no deposit to pay upfront and flexible payment terms (subject to acceptance). Please see our terms and conditions for more details. Shuffleboard Buying Advice - articles and videos covering everything from the accessories that come with the tables and which additional items you may need, to playing a full game on your new table. Have Serious Fun choosing your new shuffleboard table.